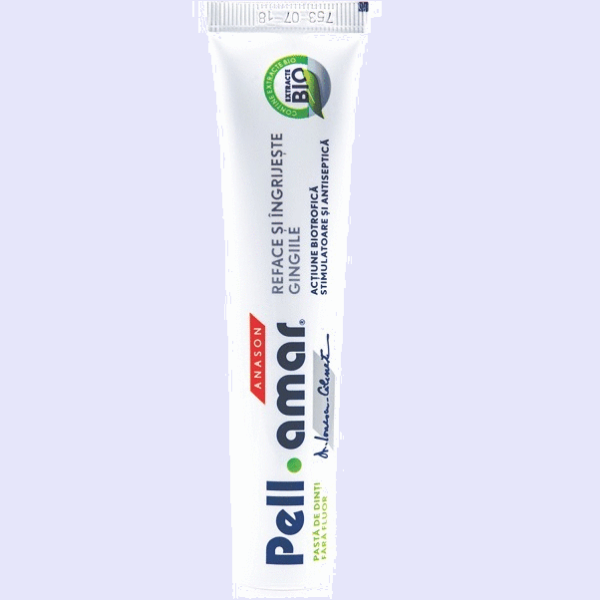 This toothpaste is designed for people who are underdoing homeopathic treatments and are unable to use mint toothpaste. It has bacteriostatic action and works to remineralise the teeth, prevent enamel erosion and tooth decay. 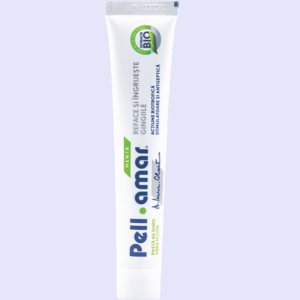 PELL AMAR EXTRACT – contains minerals – Ca2 + and PO43 – with role in enzymatic processes of cleavage of calcium glycerophosphate; Mg2 + and Cl – with the role of activators of alkaline phosphatases, these improve teeth remineralization and contribute to prevent enamel lesions and tooth cavities. CHAMOMILE EXTRACT – antiseptic, emollient, healing, deodorizing, anti-inflammatory, slightly anaesthetic action. GENTLE ABRASIVE that does not interfere with the gums and the tooth enamel. Use twice daily, in the morning and evening. SORBITOL, AQUA, GLYCEROL, HYDRATED SILICA, ECHINACEA PALIDA EXTRACT, SODIUM LAURYL SULFATE, PELL AMAR EXTRACT, XANTAN GUM, DISODIUM PHOSPHATE, SODIUM SACCHARIN, SODIUM BENZOATE, ANASON OIL, C177891. Very good. Since the first toothbrush with this paste, changes have been observed. I am very pleased with this product.